Everyone who raises $1,000 on their personal fundraising page for this event will each win a $100 VISA gift certificate! Only One Gift card per person, Not valid for teams. 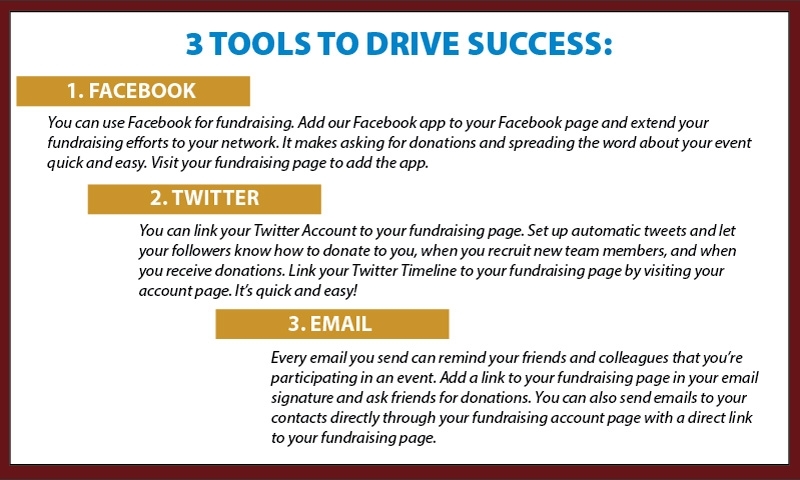 10 Easy Ways to Fundraise! Don't know how to get started? Click here for some quick emails to send to potential donors.